BIOMAPAS CODE OF ETHICS is a company guide to appropriate conduct. Most of the Policies in this Code are based on laws, regulations and business, ethical and basic work rules and principles. We require all staff to comply with high standards of honesty and integrity and always act with accountability. The purpose of the Code is to set common ethical and lawful standards which must be adhered by the Company. The Code applies to all service areas of Biomapas and must be followed by all staff, which include but are not limited to members of board, employees, vendors and contractors. Read Biomapas Code of Ethics HERE. To combine the strength of our expertise, experience and high quality deliverables to advance clinical development, market access and post-approval support to the Pharmaceutical and Medical Device industries, and ultimately improve health of patients. Biomapas is a functional and full outsourcing solution provider to the global life science industry, with key expertise in Clinical Trials, Regulatory Affairs and Pharmacovigilance. The company has significant presence across the CEE, Nordic and CIS countries thereby offering fast and reliable patient recruitment for Phase I-IV and medical device clinical trials, while regulatory and pharmacovigilance services are provided across 4 continents. Vidmantas Fokas has co-founded Biomapas in 2001. Before becoming Chief of the Board, Vidmantas has been leading Biomapas as a Managing Director for over 10 years. His expertise includes clinical development strategies in EU and CIS, as well as extensive knowledge in business management. As a Chief of the Board, Vidmantas oversees business development, financial and commercial operations in order to provide his input in company's growth. With substantial knowledge in pharmaceutical industry, Eastern European and CIS markets, Vidmantas has highly contributed to the expansion of Biomapas into the CIS region. Being an urologist by training, Vidmantas also holds a Doctor degree of Medicine. 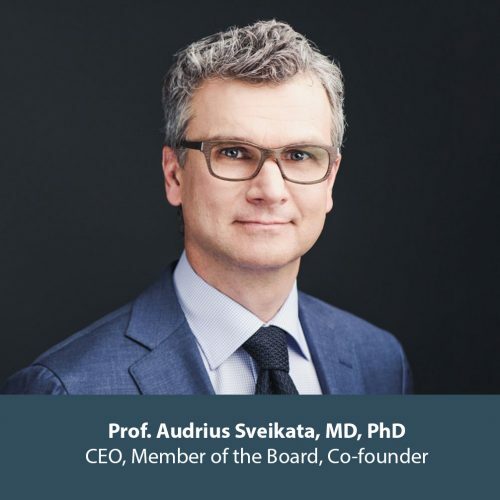 Audrius Sveikata has over 20 years of experience in clinical research and regulatory affairs, holding executive positions within competent authorities, academia, pharmaceutical industry and professional associations. His expertise includes design and implementation of clinical development plans and regulatory strategies in EU. Prior to co-founding Biomapas, Audrius was Head of Clinical Assessors unit at State Medicines Control Agency of Lithuania. As a professor of pharmacology at Lithuanian University of Health Sciences, Audrius was involved in teaching and science with specialization in neuro-psychopharmacology. He is active as a lecturer in various life science conferences, a co-author of over 50 scientific publications. Gytis Bendorius has joined Biomapas as a Member of the Board in 2014. Gytis has over 20 years of experience in pharmaceutical industry, business management and strategic planing. 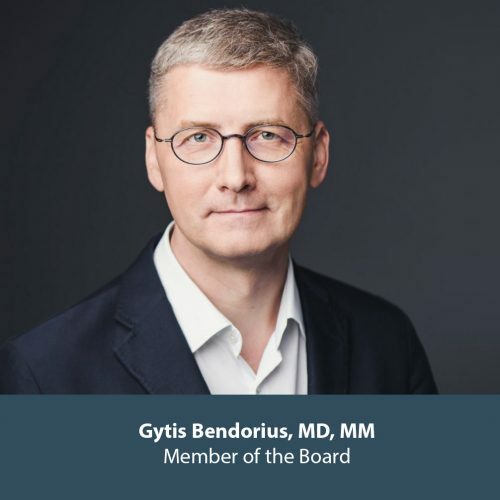 Prior to joining Biomapas Board, Gytis has been holding lead positions and serving as a Commerce and Managing Director at Tamro Lithuania and Tamro Baltics (PHOENIX group company), General Manager at Neptuno Vandenys JSC, Chairman of the Board of Lithuanian Pharmaceutical Wholesalers Association. At present, Gytis is a Managing Director at MediFocus JSC. Gytis is a medical doctor by training and also holds a Master degree of Management obtained at ISM University of Management and Economics. 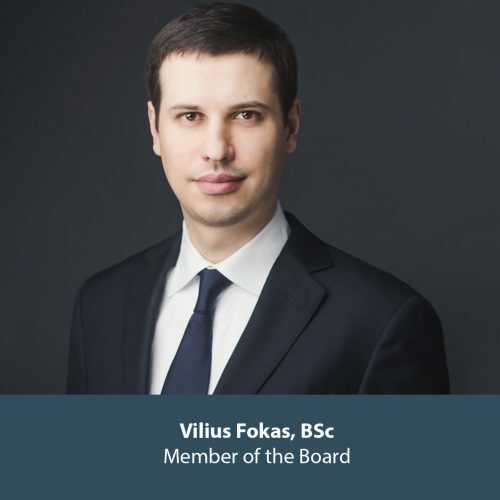 Vilius Fokas has joined Biomapas as a Member of the Board in 2014. Vilius has more than 10 years of experience in financial management and strategy, spanning from working in the field of auditing for EY to fast paced technology companies, such as Adform. At present, Vilius is a Finance Manager Nordics at Avon Cosmetics. Vilius holds a Bachelor Degree in Economics obtained at the University of Essex. 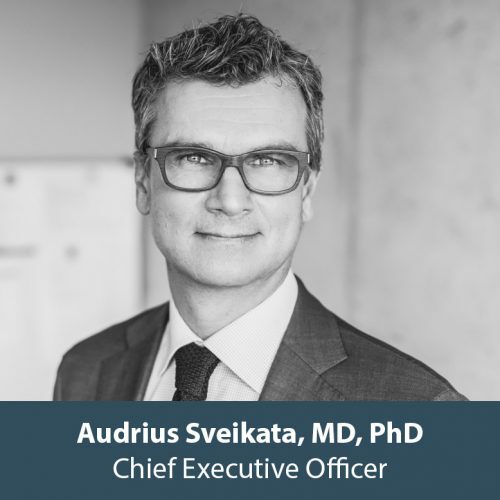 Audrius Sveikata has over 20 years of experience in clinical research and regulatory affairs, holding executive positions within competent authorities, academia, pharmaceutical industry and professional associations. His expertise includes design and implementation of clinical development plans and regulatory strategies in EU. Prior to co-founding CRO Biomapas, Audrius was Head of Clinical Assessors unit at State Medicines Control Agency of Lithuania. As a professor of pharmacology at Lithuanian University of Health Sciences, Audrius was involved in teaching and science with specialization in neuro-psychopharmacology. He is active as a lecturer in various life science conferences, a co-author of over 50 scientific publications. Juozas is a Chief Operating Officer in Biomapas and is overall responsible for company’s growth, execution and management of all operational departments and activities. He has successful track of records in managing business at the strategic level in various industries, such as insurance, logistics, utility with thorought experience in expanding and developing business in the Baltics, Russia, CEE. Juozas holds MA degree of Economic from Vilnius University, graduated Leadership Development Program supported by RSA Insurance Group (London) and went through numerous business trainings. Filip Risteski is finance professional who has diverse experience throughout his career. He was working in a professional services company as senior manager for 11 years, while providing assurance and advisory business services in different sectors such as financial, public, insurance, transport, retail, manufacturing, oil & gas, pharma and others. Filip’s professional experience extends to leading multi-country projects involving BIG4 Companies not only in the Baltics, but also the East, North, Central zones of Europe and also UK and the US. In addition to audit and finance expertise, Filip has experience in different fields such as recruitment, employee learning & development, lecturing on various finance related topics, business valuation, tax & legal compliance, business development and recourse management. 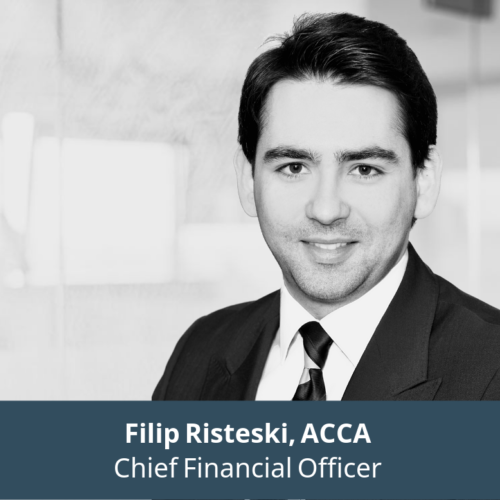 Filip holds degree in Business Administration, has ACCA accreditation since 2004 and is fluent in even in 5 languages! Regina Auskalniene is a Medical Doctor, cardiologist. 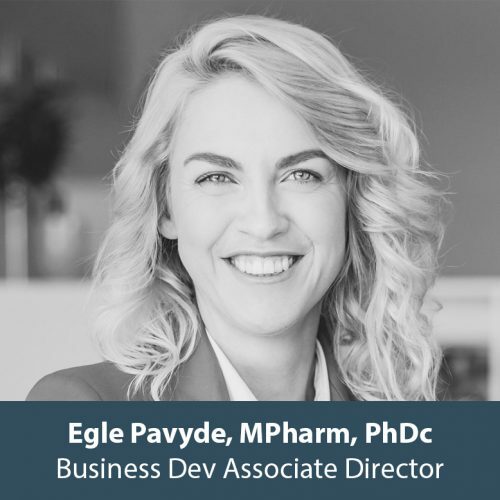 She has over 13 years experience in Clinical Research gained in the world-largest CRO IQVIA working in different roles like Line Manager for CRAs and CTAs in the Baltic region, Sub-regional Lead for Europe for the Large Scale Functional Resourcing leading Managers in many European countries and having direct interface with the business partners- major global pharma companies, member of IQVIA Global Functional resourcing Leadership team. In the last role as a Global Operational Excellence Lead Regina was responsible for the global operational processes. Beyond the responsibilities of her professional roles, Regina was a member of IQVIA Women Inspired Network, member of the IQVIA Training Board, Mentor for the junior colleagues in South Africa, Balkans, Spain, Switzerland, Germany, Nordics and was a Mentee of several IQVIA executives, has participated in many initiatives within IQVIA and in partnership with pharma companies. Since Apr 2018 in CRO Biomapas Regina is leading Clinical Operations department, overseeing Clinical Monitoring, Project Management and Start-up activities in the region. Mindaugas Broga has over 7 years of experience in pharmaceutical industry in Baltic countries and Central Eastern Europe in one of the leading pharmaceutical companies. 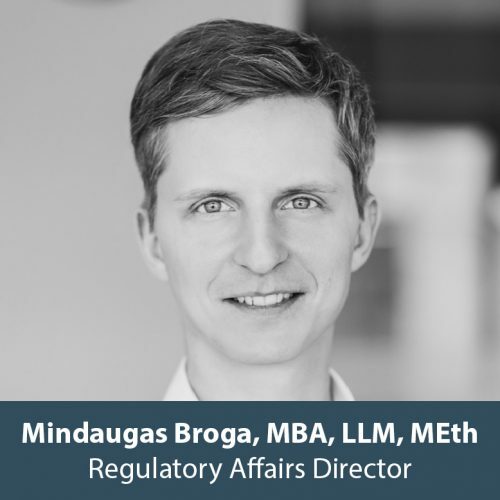 Mindaugas key areas of interests are Regulatory affairs, Legal and Ethical aspects of pharmaceutical industry and External Affairs. Further to the experience in pharmaceutical industry, Mindaugas was leading Cosmetics Industry Association in Lithuania. Mindaugas holds three master degrees in Law, Ethics and Business Administration. 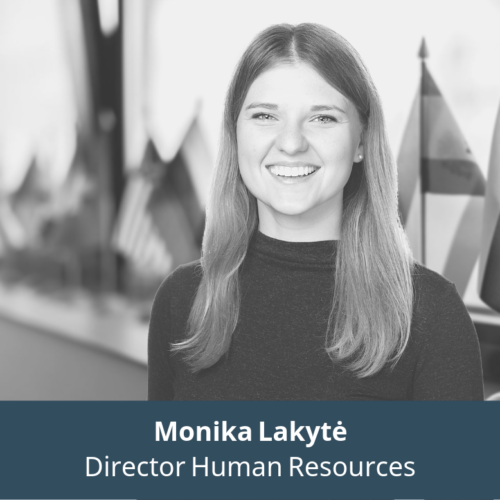 Monika is a Human Resources Specialist experienced in both public and private sector companies. Before joining Biomapas, Monika was working in professional services company EY. She has experience in different HR fields such as recruitment, employee learning & development, internal and external employee surveys, performance evaluation, compensation & benefits, labor code and other diverse projects. Monika has worked daily with different HR practices globally and organized many international learning events abroad for large audience. Monika has graduated ISM University of Management and Economics with specialty of International Business and Communication. For her final thesis she analyzed what impact change management initiatives have on employees’ job satisfaction in private sector companies. As part of her studies, she had the chance to live and study in South Korea which inspired her to visit Asia often. Except for her daily responsibilities, Monika enjoys very much public speaking, so she can be often noticed as a trainer, moderator of different events and focus groups and sharing her experience with students in different organizations. 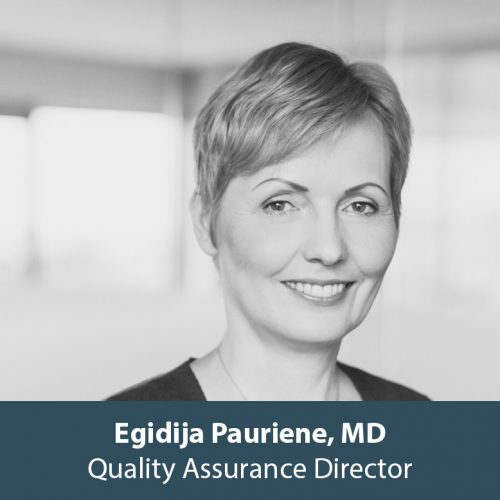 Egidija Pauriene, MD, manages and ensures the quality systems. She helps guide the integration of the corporate strategies of Biomapas Group related to GxP Quality Assurance, regulatory compliance, including Good Pharmacovigilance Practice and ISO 9001:2015 standards. She has conducted and supervised GxP audits, as well as audits to CROs, and Suppliers. Edigija is a member of Research Quality Assurance, Investigator GCP trainer, Member of Society of Infectologist. 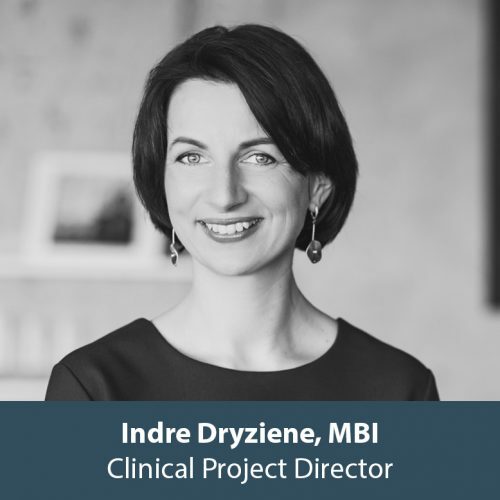 Indre Dryziene has a strong expertise in Clinical Trials, with over 12 years of experience in the CRO setting and management of clinical research activities across the European and CIS markets. As an experienced business professional, Indre was involved in the business development and strategic management of Biomapas. Over the last 10 years she held various positions, such as a Managing Director and Member of the Board. Indre holds a Master Degree in Business Information Technologies. On the top of it she is certified in Strategic Management and Marketing Strategy from ISM University of Management and Economics. Being a Pharmacist by training, Egle Pavyde has continued her studies as a PhD candidate in stem cell research. She is a co-author of 5 scientific publications. After working for 7 years in scientific research and 3 years in academia, Egle took a great opportunity to join CRO Biomapas as a lead in Regulatory Affairs Department. Managing personnel and a number of different complexity projects, she has gained a valuable experience from the operational side. At the same time Egle was responsible for business development of Regulatory Affairs Department. Anticipating to be more involved in company’s expansion, strategic planning and decision making, Egle has been transferred to Business Development Department, becoming responsible for BD activities of all 3 operational departments of Biomapas. 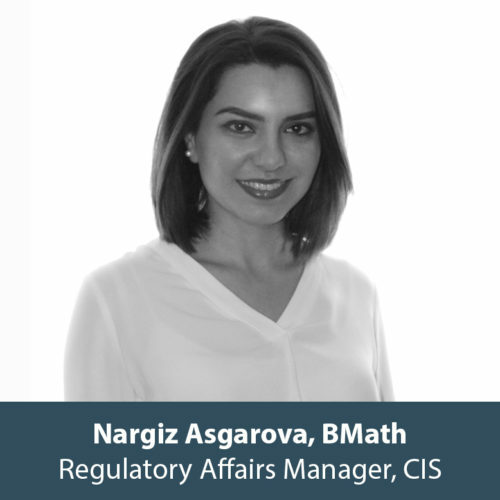 Nargiz Asgarova has joined Biomapas as a Regulatory Affairs Manager for the former CIS Region. She has over 9 years of experience in the pharmaceutical industry, working in top Pharmaceutical companies, being responsible for Regulatory Affairs and Compliance. 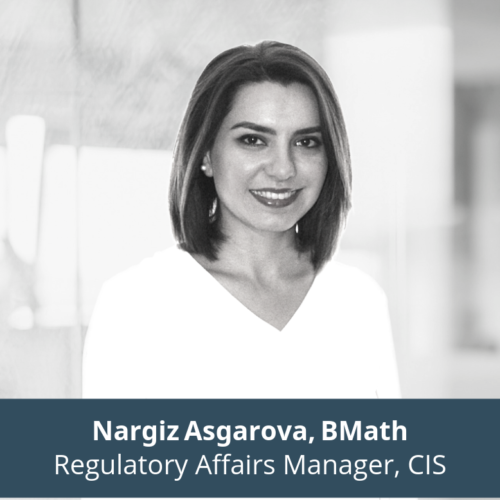 Nargiz is experienced in proactively leading projects in CIS region, developing and implementing regulatory strategy at the national level, as well as was being the main contact point for CIS. She holds a bachelor degree in Applied Mathematics and Cybernetics obtained at Baku State University, Azerbaijan. 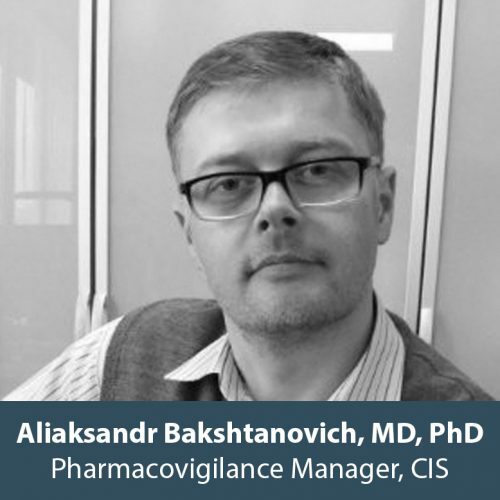 Aliaksandr Bakshtanovich has joined Biomapas as a Pharmacovigilance Manager for the former CIS Region. 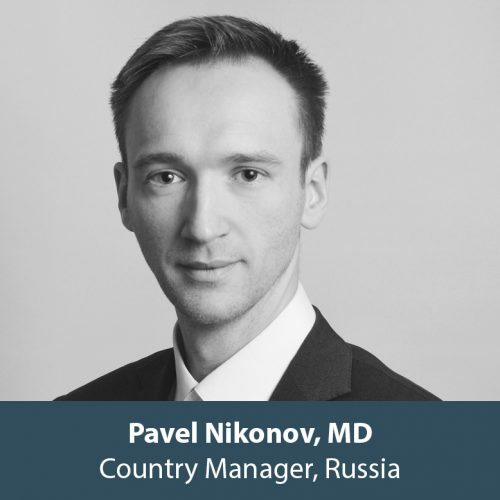 He has over 5 years of experience in pharmacovigilance as PV Manager in top pharma company in Belarus as well as a clinical pharmacologist in Minsk Hospital. Holding the last position, he collaborated with Belarus Health Authorities in the frame of local PV projects dedicated to in-patient hospitalization due to Adverse Drug Reactions. Apart from PV, he has gained Quality Management System related expertise while holding a position as a Local Quality Responsible Person. Aliaksandr is a medical doctor by training. 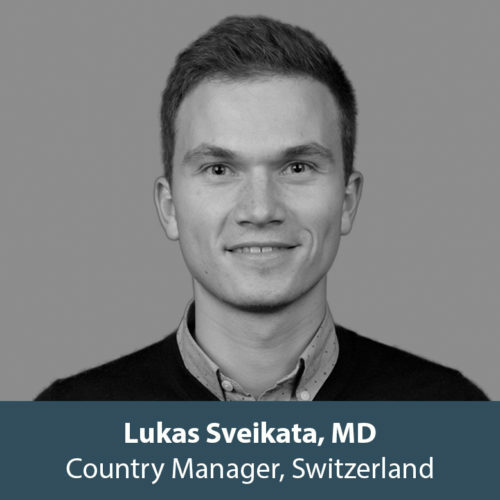 Lukas Sveikata as a Country Manager of Biomaps CRO office in Switzerland is responsible for operational processes and business development. 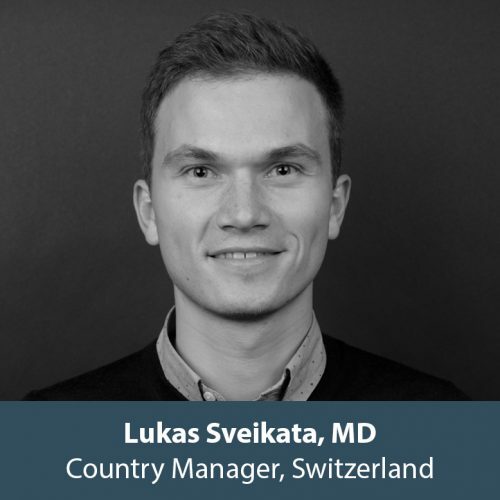 After obtaining a Medical Doctor degree in Lithuania, Lukas is currently finishing his post-graduate training in clinical neurology in Switzerland. His interests lies in clinical research in neurology and neurorehabilitation, good governance in healthcare and drug development. Ioseb Qureli as Country Manager/Director of CRO Biomapas office in Georgia is responsible for the operational processes and team management. He has over 30 years of experience in medicine, science and clinical research. Ioseb held different scientific positions in Scientific Research Institution, also performed administrative tasks as a Head of Pathomorphological Department and as a Head of the Center of Clinical Diagnostics. At the same time, he worked as the associated professor in several medical universities and colleges in Georgia. Ioseb is a co-author of 12 scientific publications. He is a clinical research expert with over 10 years of experience in the field. His main activities include study start-up management, regulatory affairs of clinical trials, site selection and clinical monitoring, GCP and local regulation advise, negotiation with vendors, staff management. 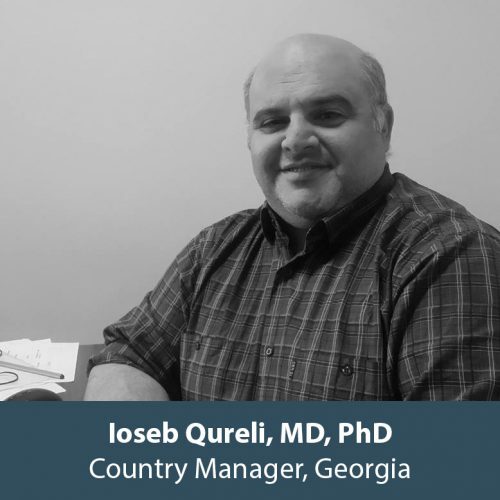 Ioseb is a medical doctor by training and holds a PhD in the field of pathology. Pavel Nikonov joined Biomapas as a Clinical Research Associate. Prior to joining Biomapas Pavel has been working in global full-service CRO as a CRA for 6 years. While being a CRA he was not only participated in more than 20 international Clinical Trials in a wide range of therapeutic areas, but also provided Local Lead CRA support to his colleagues in Russia and Ukraine. Anticipating to be involved in company’s expansion in Russia, Pavel has been promoted to a Country Manager position with business development responsibilities. Pavel holds Medical Degree with post-graduate training in Internal Medicine. 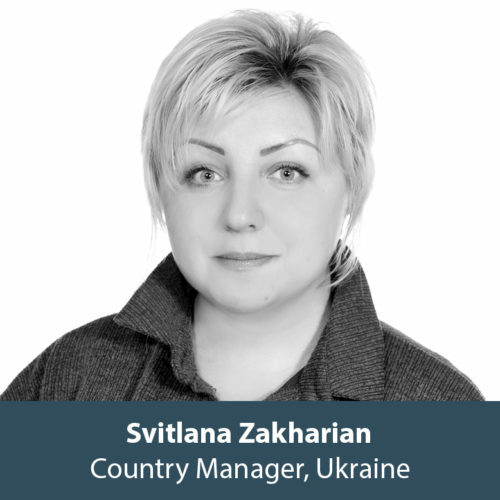 Svitlana Zakharian joined the team on the Position of Clinical Research Professional and Ukraine office Biomapas Country Manager. She has over 8 years of successful experience in the clinical trials industry, vast experience in various therapeutic areas within clinical trials, such as cardiovascular diseases, rheumatology, pulmonology, endocrinology, gastroenterology, cardiology, neurology, oncology as CTA, CRA, Team lead. For the past several years, she worked in KCR, Parexel, PSI with experience of outsourcing work for Bayer. Svitlana has a clear understanding that quality clinical data is the number one driver of company value. She speaks Russian, Ukrainian, English, a bit of German and Czech. People find her to be self-motivated team player with excellent communication skills. Svitlana is designed to success. Biomapas is looking for new Finance member team – Accountant. The role is perfect for those who expect to face a true international business environment and is keen to learn and develop professional skills. Biomapas is looking for Pharmacovigilance Assistant to join our rapidly growing Pharmacovigilance team to support on daily activities. Biomapas is looking for Pharmacovigilance Director to join leading position and strengthen Biomapas Pharmacovigilance activity globally. At the moment we are looking for Regulatory Affairs Specialist to join our team. The position is office based with flexible location in Kaunas or Vilnius offices. Biomapas is looking for Regulatory Affairs Project Manager to join our ambitious and growing Regulatory Affairs team (position in Kaunas or Vilnius offices, with remote work possibility). We are looking for a Vendor Manager to join our team in order to ensure and strengthen our sustainable growth in more than 70 countries. 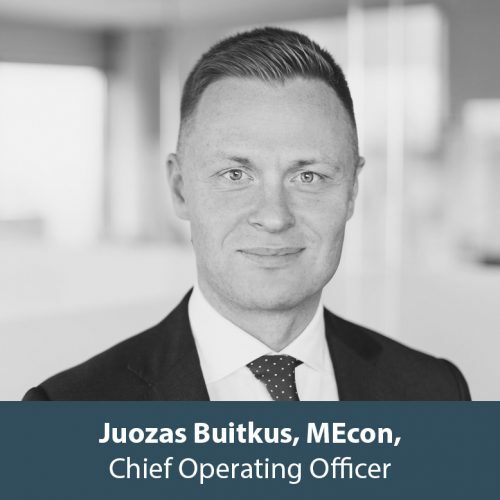 Juozas is a Chief Operating Officer in Biomapas and is overall responsible for company's growth, execution and management of all operational departments and activities. He has successful track of records in managing business at the strategic level in various industries, such as insurance, logistics, utility with thorough experience in expanding and developing business in the Baltics, Russia, CEE. Regina Auskalniene is a Medical Doctor, cardiologist. She has over 13 years experience in Clinical Research gained in the world-largest CRO IQVIA working in different roles like Line Manager for CRAs and CTAs in the Baltic region, Sub-regional Lead for Europe for the Large Scale Functional Resourcing leading Managers in many European countries and having direct interface with the business partners- major global pharma companies, member of IQVIA Global Functional resourcing Leadership team. In the last role as a Global Operational Excellence Lead Regina was responsible for the global operational processes. Beyond the responsibilities of her professional roles, Regina was a member of IQVIA Women Inspired Network, member of the IQVIA Training Board, Mentor for the junior colleagues in South Africa, Balkans, Spain, Switzerland, Germany, Nordics and was a Mentee of several IQVIA executives, has participated in many initiatives within IQVIA and in partnership with pharma companies. Since Apr 2018 in CRO Biomapas Regina is leading Clinical Operations department, overseeing Clinical Monitoring, Project Management and Start-up activities in the region.